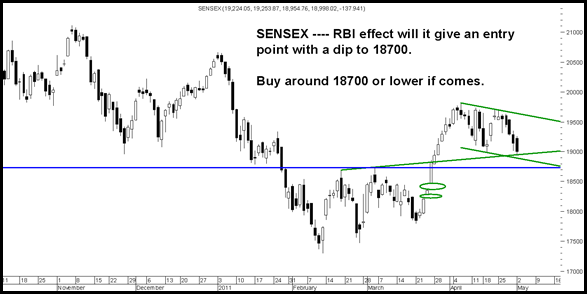 In the last two sessions the drop in Sensex has been majorly due to the banking index and Reliance. Many PSU banks have dropped 5-10%. Is it because of a downgrade by Morgan Stanley or is it the sudden change in expectation of RBI rate hike from 0.25 bps to 0.50 bps. Seems Index is factoring in a 50 bps hike but for use would stick to the technical levels. 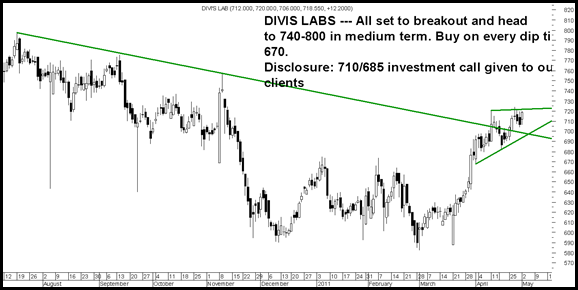 18700 the previous breakout point will be a good entry point on declines. The gap support at 18373-18480 also remains a very strong support. 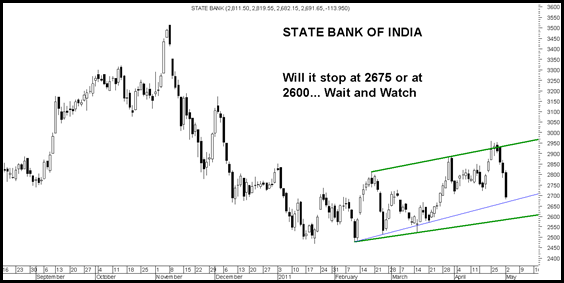 We may expect the index to bounce to 19k post a dip to 18700 or lower. Buy on dips with a stoploss of 18370. 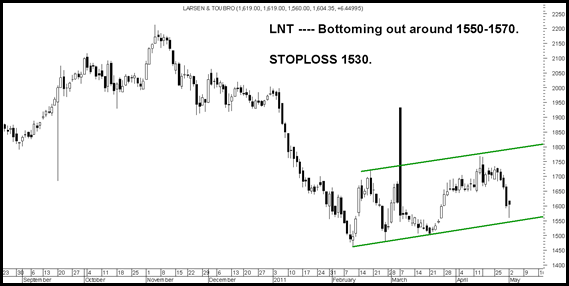 LNT – Bottom out or a breakdown stoploss 1530. Nifty 50 – Another set of exclusions/inclusions possibly coming in next 1 year. Time Lag to pass the rate hike to end users, the effect of which will be visible in June and September 2011 numbers. Loan Disbursement/Credit Growth target will be difficult, as demand will slow down. So it will be good for investing, once the BANKEX stabilizes and quality stocks come at decent valuations. 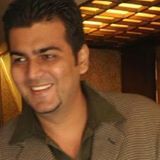 Presently, i would like to focus on Dividend paying stocks and defensives in Pharma/Education/FMCG and select commodities. Banks have dropped 15 % so its been taken into the price. But from the policy announcements and general understanding over next 2 qtrs we might be peaking out on Interest rates which seems to be more interesting to me. 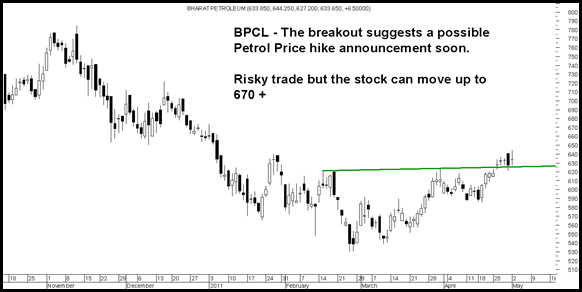 How is Ranbaxy, Nocil and Chennai Petroleum for 3 months trading perspective.